← But apart from this minor detail, the NHS is the best health service in the world. 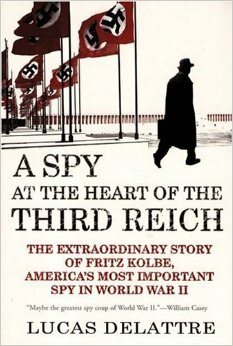 “A Spy at the Heart of the Third Reich” would be one of the best spy novels I have ever read, if only it was a novel. But even better, it’s a true story. It’s a cliché that the best stories are written by life itself. In the case of Fritz Kolbe, World-War-II spy, this is true. Yet, it still requires a good writer to turn it into an exciting book. French journalist Lucas Delattre was evidently the right man for this job. Fritz Kolbe was a mid-level bureaucrat in the German Foreign Office in Berlin during World War II. Unlike many better known “resistance fighters” who only turned against the Nazis when they noticed that Germany would lose World War II, Fritz Kolbe was always opposed to Nazism, dictatorship, militarism, nationalism and anti-Semitism. He was one of the few who refused to join the NSDAP, even after being asked to explain himself several times and after he was informed that his steadfast refusal to join the party would damage his career (he was no longer sent on foreign postings). This is yet another example which shows that it was absolutely possible to put up some resistance during the Third Reich, putting those at shame who kept repeating the lame excuse “But what should we have done?” after 1945. Because his career had been stalled, Fritz Kolbe was limited to a job in the department of the Foreign Office that received dispatches from German embassies around the world, analyzed the foreign press, compiled reports and forwarded them to German government departments. It wasn’t an exciting job, but few jobs provided that amount and level of insight into classified matters. Kolbe decided to keep or make copies of these highly classified documents in case there would ever be a chance to provide them to the Allies. The chance came when he was asked to deliver documents to the German embassy in Bern, Switzerland. He had a few extra days there and paid a visit to the British embassy, where he was flat-out turned away. He tried the US embassy next. Luckily, there was an agent called Allen Dulles, who would later head the CIA, who trusted his instinct and this German spy who – to the surprise of Dulles and his colleague – did not ask for any money. Like a spy thriller, the book describes in detail how Kolbe smuggled the paperwork across the border, how he met with the Americans under the cover of darkness and how they debriefed him. Delattre also provides quite some insight into how intelligence information was checked, double-checked, tested and verified before it was used. Kolbe returned to Bern several times, each time with hundreds of documents and invaluable notes. He provided embassy cables, assessments of the military and political strength of Germany’s allies and most usefully, he made suggestions about where to bomb to hit weapons factories, rocket launchpads, industry, railway junctions. He even provided a detailed map of Hitler’s HQ in Poland which he had drawn on one of his visits there, practically begging the Americans to bomb it. Tragically, a lot of the information got stuck between the US and British intelligence and their different competing branches. Those in London and Washington who had never met Kolbe in person did not believe that someone would turn over that much legitimate information without asking for payment and approached anything Kolbe provided with much suspicion. Valuable time was wasted, possibly prolonging the war. One interesting fact that I had hitherto not known is that the resistance group around General Beck and Carl Goerdeler had contacted the Americans, asking them for military support during the coup d’etat on 20 July 1944 (they asked particularly for several American airborne divisions to be parachuted into Berlin) and proposed that the Wehrmacht would capitulate on condition that they were allowed to continue fighting against the Soviet Union in the East. In line with the agreement between the Allies, the USA insisted on unconditional surrender. Fritz Kolbe was eager to do yet more. He was in contact with others opposed to the Nazis and had prepared a “people’s militia” consisting of 30 to 100 men, equipped with bicycles, who would be ready to take over Berlin once the Americans landed. The American spies probably deemed this naive and dissuaded Kolbe from going further with such plans, telling him that he was far more valuable as a spy. What the Americans never told him, is that he was actually the only spy they had within the Nazi administration in Berlin. Although the action mostly stops in May 1945 – Kolbe survives the war undetected, despite his relatively open association with opponents of the Nazis and despite having told some of his colleagues about his contact with the Americans -, the book doesn’t stop here. Sadly, the story of Fritz Kolbe in the first years of the Federal Republic of Germany is all too symptomatic of that time. Shunned as a traitor by his former colleagues in the Foreign Office, he is never re-hired, while many erstwhile Nazis are. It’s as if he had been put on a secret black list. His story, his deeds, his courage and his motives only become known to a wider audience long after he died in 1971. Delattre’s book is excellently told and has a range of interesting notes, sources and thematic bibliography that make you want to continue researching this episode of World War II. – If you like this book, I also recommend “Alone in Berlin” by Hans Fallada and “Beautiful Souls” by Eyal Press. 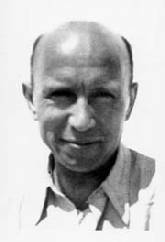 This entry was posted in Books, Germany, History, Holocaust, Military, Politics, USA, World War II and tagged espionage, Fritz Kolbe, OSS, Switzerland. Bookmark the permalink. Thanks for the tip! If you like the genre, I recommend to read Russian Roulette by Giles Milton, about the eccentric British spies smuggled into newly-Soviet Russia in 1917. “Alone in Berlin” is one of the most stunning books I have ever read! I have added “Russian Roulette” to my wishlist. I had to admit, you’ve piqued my curiosity. I love this genre. I may download a sample on my Kindle today. If you love this genre, I am almost certain you will enjoy this book.